New Jersey Gov. Chris Christie apologized to the people of New Jersey Thursday for last year’s lane closure on the George Washington Bridge and announced he was firing his deputy chief of staff for lying to him. "I come out here today to apologize to the people of New Jersey. I apologize to the people of Fort Lee, and I apologize to the members of the state Legislature. I am embarrassed and humiliated by the conduct of some of the people on my team. There's no doubt in my mind that the conduct that they exhibited is completely unacceptable and showed a lack of respect for their appropriate role in government and for the people that were trusted to serve," Christie said in a press conference Thursday morning. Christie also traveled to Fort Lee, N.J., to apologize in person to Mayor Mark Skokolich, even though Skokolich told him not to make the trip Thursday evening. In another development, six New Jersey residents filed a filed a federal lawsuit against Christie, the state, the Port Authority of New York and New Jersey and others, calling the traffic jams caused by the bridge lane closures "deliberate actions." On Thursday Christie announced that he had fired Bridget Anne Kelly, a deputy chief of staff, for lying when he sought the truth about the bridge closures from his staff a month ago. Christie also took punitive action against Bill Stepien, his campaign manager who was under consideration to be the next head of the New Jersey GOP. Christie has asked Stepien to withdraw his name from consideration for the position and also to withdraw his consultancy from working with the Republican Governor's Association, the association that Christie took over in November. "I was disturbed by the tone and behavior and attitude of callous indifference that was displayed in the emails by my former campaign manager, Bill Stepien," Christie said. "If I cannot trust someone’s judgment I cannot ask others to do so." Did Christie's mea culpa get him out of traffic jam? "Time for some traffic problems in Fort Lee," Kelly wrote in an Aug. 13 message to David Wildstein, a top executive at the Port Authority who was appointed by Christie. "Got it," replied Wildstein, who would later resign as a result of the outburst of anger surrounding the lane closings, which snarled traffic, prevented school buses from running on time, and even delayed emergency vehicles trying to reach a 91-year-old woman who was unconscious and later died. Other exchanges reveal mockery of the school children who were late to school because of the traffic, with one person saying, “"They are the children of Buono voters," a reference to Christie’s Democratic opponent in the gubernatorial election, State Sen. Barbara Buono. Christie maintained that he had "no knowledge or involvement in this issue, in its planning or its execution," and said he was "stunned by the abject stupidity that was shown here." He said there would be further investigation, including whether the bridge's access lanes were closed as part of a traffic study, which was the original explanation for the massive gridlock. "I don’t know if this was a traffic study that morphed into a political vendetta or a political vendetta that morphed into a traffic study," Christie said. While he took responsibility for the actions of his staff, he also distanced himself from taking full responsibility by saying he was not a micro-manager and couldn't know what his staff was doing at every time. The various messages, many sent from private email accounts, were produced by Wildstein in response to a subpoena from a panel of New Jersey lawmakers. He was compelled to testify to the New Jersey Assembly’s transportation committee Thursday afternoon after his attorneys tried to quash the subpoena with a variety of arguments, including a challenge to Assemblyman John Wisniewski’s signature, subpoena power and potential conflicts of interest, but the judge ruled against him. Wildstein, at the advice of his attorney, Alan Zegas, asserted his right to remain silent under the Fifth Amendment. Zegas explained to the committee that he advised his client not to speak as a proactive measure in case prosecutors tried to use his statements as evidence to charge him with a crime in the future. He believes Wildstein has done nothing wrong. Because of his repeated refusal to answer questions, the committee voted to hold Wildstein in contempt, a misdemeanor. The New Jersey U.S. Attorney's office announced Thursday it was reviewing whether a federal law was implicated. Earlier in December, before the communications were revealed, the U.S. Senate Commerce Committee announced it would launch its own investigation. The messages are also littered with derogatory references to Fort Lee Mayor Sokolich, a Democrat, who did not endorse Christie for re-election, suggesting a political motive for the bridge closings. He was derided an "idiot" and the "little Serbian" -- though Sokolich is actually of Croatian descent. During the press conference, Christie said he would travel to Fort Lee to apologize to Sokolich in person. But he also said the mayor was "never on my radar screen" and expressed surprise his staff would have been trying to exact revenge. "I never saw this as political retribution because I didn't think he did anything to us," Christie said, insisting he was unaware his campaign had sought Sokolich's endorsement. "I'm sure I met him at some point…[but] I couldn't have been able to pick him out of a lineup." After his visit Thursday afternoon to Fort Lee, Christie said he and the mayor had had a "productive meeting. "Sokolich told The Record newspaper the governor had taken "a big step" toward regaining the trust of Fort Lee's residents. 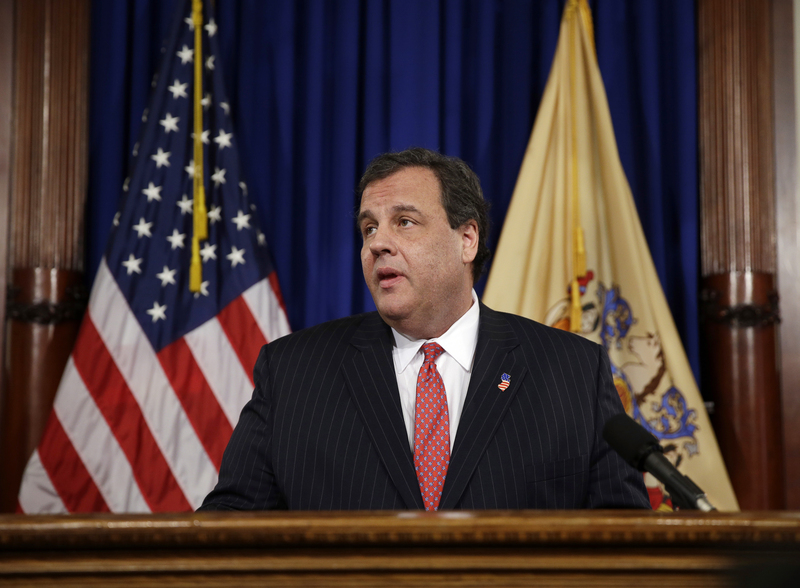 The messages were mostly sent through personal email accounts, and include or mention several Christie associates. Amid investigations by New Jersey legislators and the Port Authority’s inspector general, two Christie appointees, including Wildstein, resigned. Even if Christie is found to have had no knowledge of what his aides and associates did, it will inevitably remain a sticking point for any future political ambitions, including a potential 2016 presidential bid. In order to survive, he will have to face it head on, said CBS News political director John Dickerson. The episode has raised fresh questions about Christie's aggressive style, which opponents have likened to bullying. Christie denied the charge during the press conference, saying it's a passion about issues that he doesn't try to hide. "I am not a focus-group tested, blow-dried candidate or governor," he said. "I am who I am but I am not a bully."